Good morning. It's Monday, Nov. 5. • California could wield serious power in the House. • A high school teacher slugs a student and keeps swinging. • And San Francisco's greatest public art installations. Nancy Pelosi, the House minority leader, on Capitol Hill last May. If Democrats flip the House, California lawmakers would be positioned as prominent checks on the Trump administration. According to the S.F. Chronicle, the state's Democrats are in line for party leadership posts and chair positions on nearly 1 in 5 House committees. 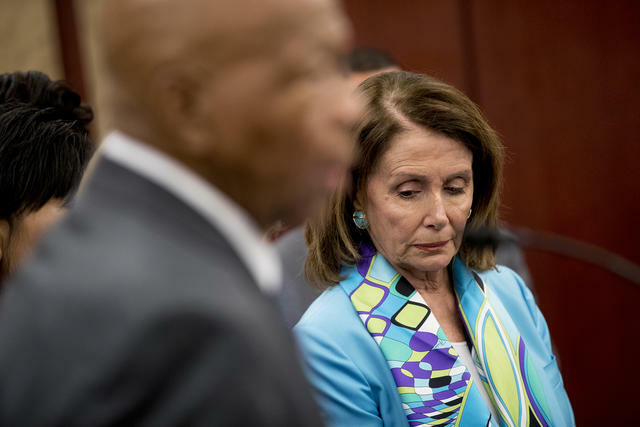 Rep. Nancy Pelosi of San Francisco is the front-runner to be speaker in a Democratic House. Rep. Adam Schiff of Burbank would be poised to run the Intelligence Committee. And Rep. Maxine Waters of Los Angeles would be in line to take over the powerful House Financial Services Committee. Waters said she had CEOs worried. "I have not forgotten you foreclosed on our houses," she said. "I have not forgotten you undermined our communities. ... I’m going to do to you what you did to us." Read the story in the Chronicle. Tuesday is Election Day. Need to cram? • Enter your address here to see what will be on your ballot. • Polling places will be open from 7 a.m. to 8 p.m. Find yours here. • Missed the deadline to register? You can still vote conditionally. 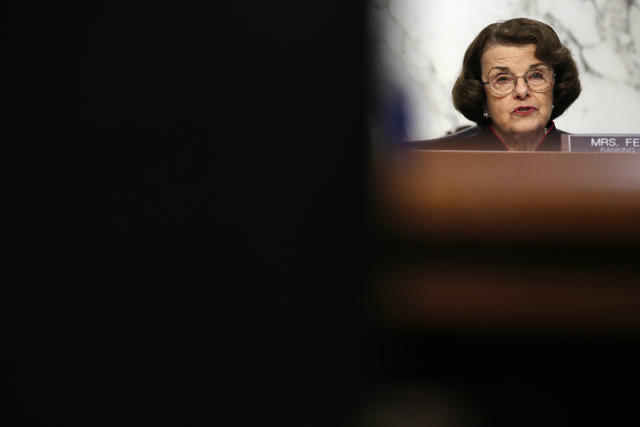 Sen. Dianne Feinstein said the Senate needs a mix of younger and older leaders. Sen. Dianne Feinstein, 85, appears to be cruising to victory, despite calls from her own party for a younger and more liberal candidate. "Her apparent lead," wrote the N.Y. Times, "suggests that at a time of generational and ideological upheaval, California — the face of the liberal resistance — still has an appetite for a politician who embraces political moderation." Chickens at an egg processing plant in Merced County. 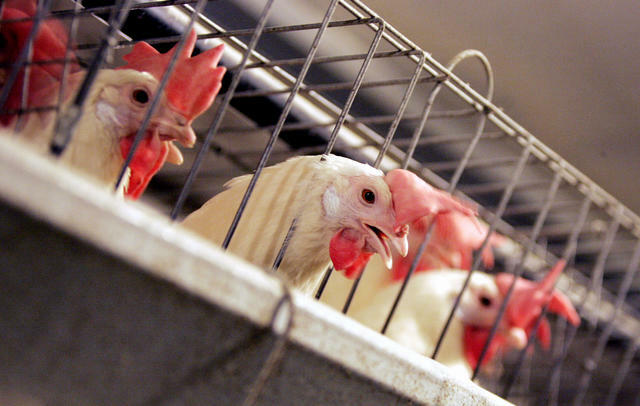 California voters will decide whether to bar farmers from keeping egg-laying hens — as well as veal calves and breeding pigs — in pens so small they can't turn around. The Humane Society said if Proposition 12 passes, it would impose the world's strictest protections for animals raised for human consumption. A record 19.7 million Californians are registered to vote Tuesday. Secretary of State Alex Padilla said it was "almost unprecedented" to set a registration record in a midterm election because far more people typically vote when a presidential contest is on the ballot. "Californians are fired up," he said. Travertine Hot Springs is on state park land and free to the public. One perk of California's geologically active landscape is its collection of mineral-laden hot springs. 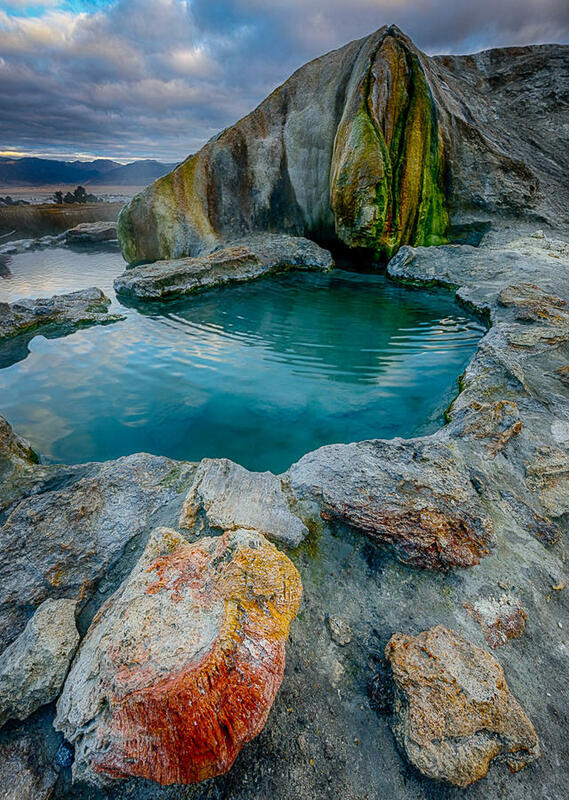 Among the best spots is Travertine Hot Springs, about 50 miles north of Mammoth Lakes, where pools of 100-degree water are surrounded by stunning views of the Sierra Nevada. It's one of eight hot springs recommended by the state's tourism promotion authority. 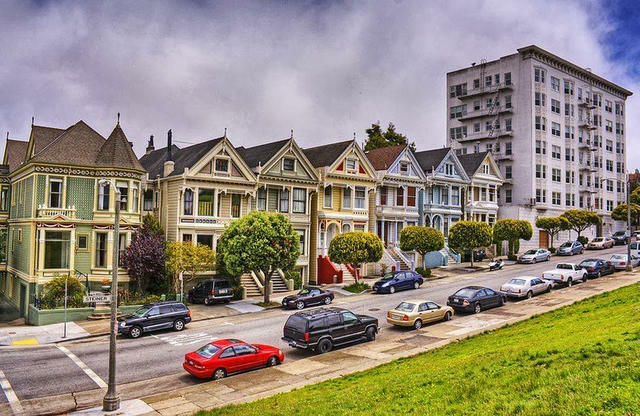 Pro-building activists want to see more apartment buildings among San Francisco's single family homes. The agenda of the YIMBYs — the San Francisco-bred "yes in my backyard" movement — is all over the Nov. 6 ballot. Dozens of cities will vote on YIMBY-supported measures meant to spur new home-building. And YIMBY candidates will face tests in San Diego, Oakland, San Francisco, and other cities. "Politicians are taking the YIMBYs’ energy and running with it," a politics professor said. Bay Area billionaires have been beefing over Proposition C, which would raise taxes on San Francisco's biggest businesses to pay for homeless programs. "If the Bay Area were a country," the New Yorker wrote, "it would be ranked ninth in the world for its billionaire population. There are about a hundred homeless San Franciscans for every billionaire, and, presumably, more than enough resources to go around." East Palo Alto, a city of 30,000 people whose population is majority minority, is surrounded by tech giants like Facebook, Google, and Amazon. Yet while its residents win few of the jobs in those companies, they are threatened by rapidly rising housing prices. "Socially and economically in this area," the mayor said, "we’re living in a semi-feudal society." Homes were leveled by the Carr fire in the Lake Keswick Estates area of Redding last July. As Venesa Rhodes and her husband fled their Redding home during the Carr fire last summer, their cat Bella bolted. 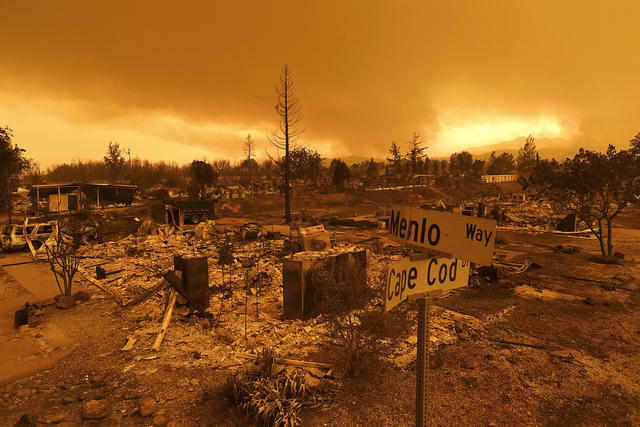 The neighborhood — along with their house — was reduced to ash. They presumed Bella had died. Devastated, they moved to Anchorage, Alaska, to start over. Nearly six weeks later, a call came: Bella was alive, trapped by a group that has reunited about 80 pets with their Redding families. "I started bawling," Rhodes said. The Vaillancourt Fountain in Justin Herman Plaza was designed by the Québécois artist Armand Vaillancourt. 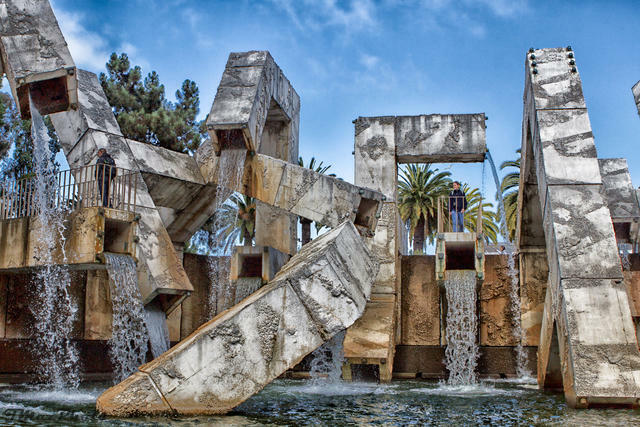 The renowned architecture critic Allan Temko once described the Vaillancourt Fountain on San Francisco's Embarcadero as resembling something "deposited by a concrete dog with square intestines." Love it or hate it, the 710-ton work has survived repeated attempts to remove it since the 1970s. Curbed included it in a roundup of the city's best public art installations. A 14-year-old student at a high school in southeast Los Angeles County squared off with his 64-year-old music teacher, repeatedly used a racial epithet, and threw a basketball at him. Then the teacher slugged the boy's face and kept swinging. The incident, caught on video, landed the teacher in jail. It also prompted a fundraising drive — for the teacher. Wild burros in Death Valley are descendants of pack animals used by miners. 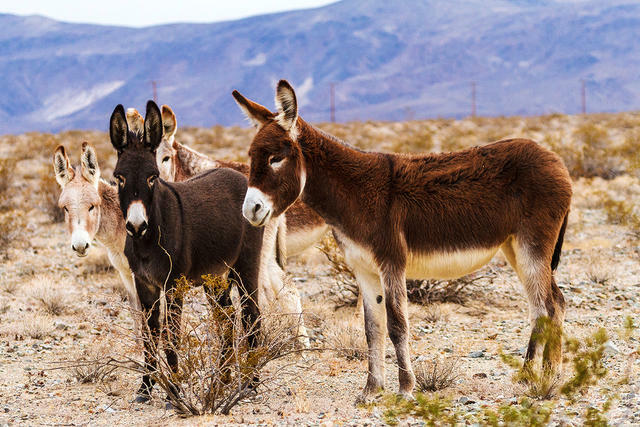 The National Parks service wants to rid Death Valley of thousands of nonnative wild burros that breed prolifically and out-compete rats, lizards, and bighorn sheep for greenery. One man (and his nonprofit) have been charged with capturing roughly 2,500 to 4,000 burros. It could take a while: Six days into the campaign, they had snared 28. A photographer sent his drone out over the Pacific near Cayucos. A photographer captured great drone footage of humpback whales and hundreds of sea lions scrambling to devour schools of anchovies along the Central Coast. In many years of filming marine life, he said he'd never seen anything like it. Richie the Barber takes his clowning seriously. 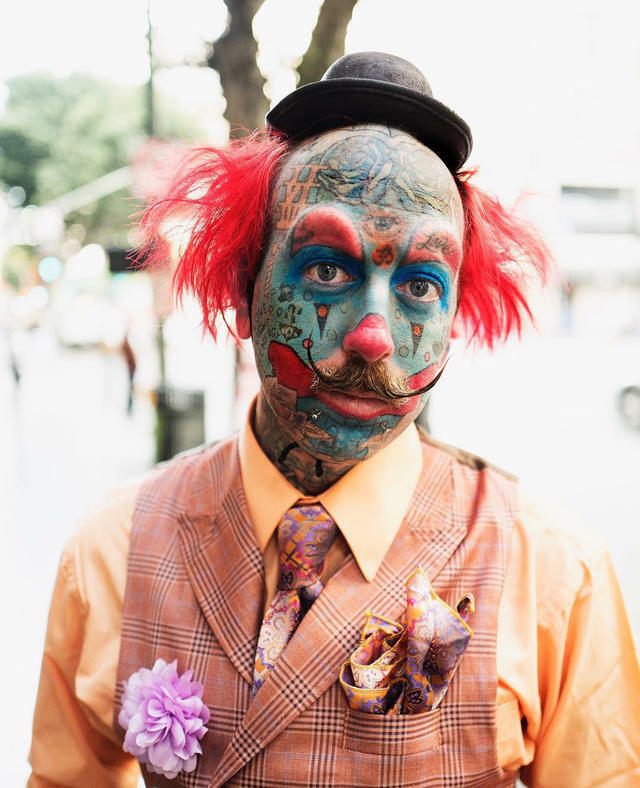 There's a guy in Los Angeles so obsessed with clowns that he tattooed clown makeup on his face. In an interview with the L.A. Times, Richie the Barber (that's his legal name) said everyone in his life warned him that he'd never be taken seriously. "But I've always wanted to be a clown," he said. "And being a clown is fun. And you have to live life fun because you only live once."